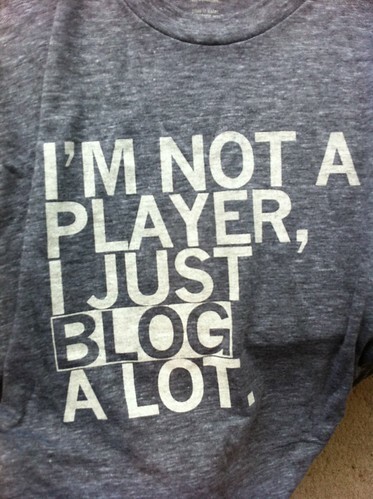 I’m a huge fan of blogging for several reasons. It’s a great outlet for creative expression, establishing your expertise, serving as the foundation of your content marketing and social media strategy, and of course, for taking your SEO to the next level. Recently I listened to a great webinar from Michelle Shaeffer, “Unlock the Secrets of Successful Business Bloggers.” She shared some of her best tips and strategies for making blogging fun – and profitable – for your business. Good stuff. I took some notes from the webinar, and I’d LOVE to hear your insight into this. Read the tips I compiled and then leave your best tip in the comment box below. Shift your perspective to thinking: who will my blog post help? What would you add to this list to take your blog to the next level? What additional activities do you do to promote your blog posts? Great advice. For me I’ve probably had the most success with using Stumble Upon and LinedIn, and it doesn’t take but a minute to connect your content with those sites.